Grande Cheese of Wyocena Donates! Grande Cheese of Wyocena does it again for the Portage Family Skate Park Project and in a BIG way!! The workers at Grande Cheese see the need for a safe and friendly skate park for Portage and it’s neighbors. What makes the people of Grande Cheese special is the commitment to the youth in the town of Wyocena and knowing having one safe and friendly skate park is better then known. The PFSP wants to thank everyone that has kept up with spreading the word about our project and to those who read this article I challenge you to take a look at our project. You simply will not be disappointed knowing the facts. So donate what you can and remember all donations are tax deductible. You can donate today via PayPal or download a form from our website under the donations tab or even stop into one of our many participating business’s excepting donations on our behalf like Prairie Flower Beads Portage. Grande raises $1,100 for the PFSP!!! 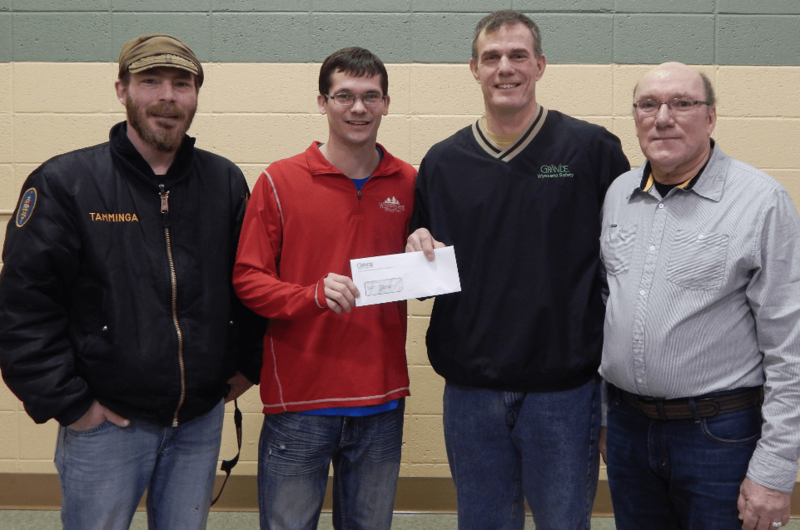 Andrew Tamminga Art Director & Kyle Little President of the PFSP except a donation check from Greg Braatz (dark shirt) and Russ Pollesch employees of Grande Cheese of Wyocena Wisconsin.